The Richmond Symphony Orchestra League (RSOL) announced the selection of the renowned Holly Lawn estate for the 2018 Designer House. 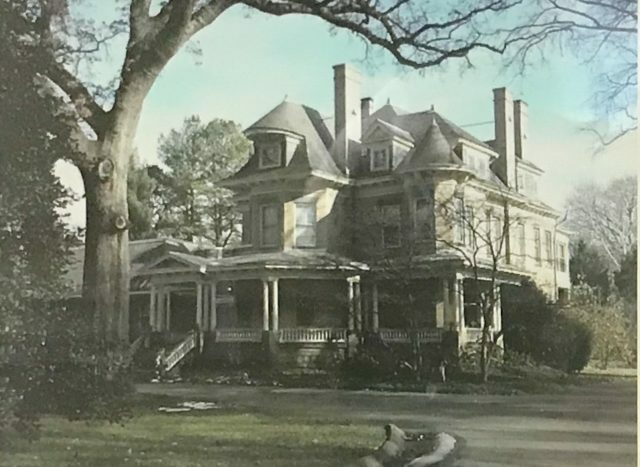 Located in the Hermitage Road Historic District, this gorgeous Queen Anne style home completed in 1901 was once home to the Richmond Council of Garden Clubs and is on the National Historic Register of Places. Virginia’s leading interior designers will transform the home’s living spaces reflecting the designer’s vision. The RSOL’s Preview Gala on September 14, 2018, will kick off the 18th Designer House with a party, music by Richmond Symphony Orchestra musicians, and a house preview. Holly Lawn estate’s main home features five bedrooms, three-and-a-half bathrooms, a sun porch, a library, a living room, a formal dining room, a spacious foyer, a kitchen with a butler’s pantry, and a sweeping Southern style front porch. One of the earlier homeowners named the estate “Holly Lawn” for the beautiful imagery provided by the holly trees lining the estate grounds. In June, the RSOL announced the selection of nineteen leading Virginian designers. Please find the complete designer list at rsol.org. Enter to win a 4-pack of home tour tickets from RFM here.